Other services ads in Sydney. Thank you for visiting our free advertising website Other services, Sydney section. We provide high response free classifieds and free advertisement. Use our online free Other services classifieds placement system to find, list, offer Other services online! Lampro originated in Australia, the brand only focuses on research and development and promotion of breakthrough medical beauty products, snake venom cream belongs to one of the high-end products of the brand, specially designed for women over 25 years old website	http://www.lampro.com.au/ Phone number	1300299730 Business E_mail	info@lampro. Some people might think that TV programmes and the commercials that almost universally fund them are on the road to extinction. As evidence for the continuing importance of TV and TV commercials is the statistics for the number of hours that ordinary people watch TV. There are two other observations to be made here before the effect of culture on commercials and vice versa. Leaflets Drops Sydney has an efficient team on board to assist businesses in the best methods to brand recognition. We use GPS tracking to ensure transparency of leaflet drops in Sydney. Our services are pocket friendly and we make sure to plan your campaign within your budget.. The Fly Lady is headed up by an ex-chef with 15 yrs industry experience. Now in her 10 th year of fly control, The Fy Lady provides an efficient and effective product to eliminate flies and fruit flies in hospitality based, food and beverage business. Website:	https://www.theflylady.com.au/ Phone:	04 3937 5944 Email:	info@theflylady. Looking for coffee shop for sale? Contact us, we offer aspiring entrepreneurs with a great franchise business opportunity with a proven turnkey system and full ongoing support.. Pure Public Relations provides proactive media relations and issues management along with other communications services such as speech writing, internal communication, social media, copywriting, stakeholder relations, and reputation management..
At Southern Cross Funeral Directors, we pride ourselves on the fact that we are with you every step of the funeral process. We offer fast and reliable funeral services, the most professional and compassionate. We service all areas in metropolitan Sydney, including St George, Sutherland, Eastern Suburbs, Western Suburbs, Campbelltown, Liverpool and everywhere in between; as well as Central Coast including Gosford, Woy Woy, Toukley, Wyong and Newcastle and as far south as Wollongong. : Safety surface installation for playgrounds, golf courses, aged care facilities and equestrian applications. Address: 4/6-20 Braidwood St Strathfield South NSW 2136 Australia https://wetpour.net/. We specialise in the sale of standalone Post Offices and Post Office Newsagencies within NSW. With 40 years experience in the industry as a Senior Manager and Business Broker, prospective franchisees are in safe hands when investing in their future. P.O. Broker provides the opportunity for prospective business owners to achieve their dream of being in charge of their own destiny. We are fully insured and licensed. Whether you are looking for industrial or commercial painting, Beverly Homes has proven experience and knowledge providing the best solution for delivering large or small projects on time and on budget. Residential painting sydney Our professional team of painters and site supervisors work closely with our clients to ensure efficiency, quality and customer satisfaction in each project. We do whats right not what's easy Site Demolition Pty Ltd hopes to be your preferred demolisher, to remove your old home to make way for your Dream Home .Please note our quotes are all above board and there is NO HIDDEN AGENDA to try and find a variation, once we start the demolition. Our terms and conditions are attached (nothing to hide) OUR CHARGES ARE FIXED & DONT INCREASE WITHOUT NOTICE. Sydney Level 2 is a proudly Australian owned and operated electrical contracting company based in Sydney and specialising in Level 2 electrical - contestable work. With our entire focus on level 2 electrical work, over the years we have gained vital industry experience, essential technical knowledge and crucial business operating skills, putting us a cut above the rest. The Taxis Melbourne Airport is one company that has been offering best quality airport transfers to the customers for decades in Melbourne. It is one of the most trusted and reliable company offering services with a huge range of fleet of vehicles for the customers to choose. For more details visit us at https://taxismelbourneairport. If you are in need of an Affordable Website Design Sydney, Win Digital Sydney Agency is a top web design agency in Sydney delivering beautiful custom websites for your business. We also provide other services like Seo Sydney Services, Web Development Services in Sydney. Get in touch with us for more details on 0490365198. We’ve got reputable locksmith service providers listed on our website. They can absolutely provide assistance especially when it comes to emergency locksmith services. We fully understand your need for a fully secured premise that’s why you can count on us anytime!. Shop Australia’s 1st online store for quality aged care products and accessories that also help maintain independence. 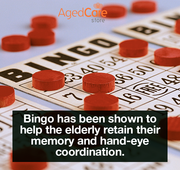 The Aged Care Store provides trusted mobility, bedding, bathroom, orthotics, reading & also writing, kitchen aids, and more..
Sydney base Chinese obstetrician and gynaecologist. Consultation rooms in Sydney Barangaroo and Chatswood. Operate and delivers in Mater Private Hospital, Royal North Shore Private Hospital, Prince of Wales Private Hospital and St George Private Hospital https://www.sydneyobstetricianclinic.com.au/ Phone: 0413579333 Email: drkevinprkoh@gmail. Australian Online Boutique presenting you with a gorgeous collection of on trend pieces for your special event. We will have you outfit ready for a cocktail party, wedding guest, Raceday wear or that special party. 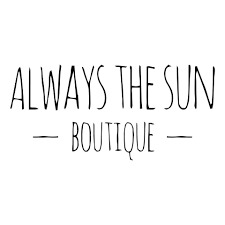 https://alwaysthesunboutique.com/ alwaysthesunboutique@gmail.com Sunshine Coast. We would like to extend a very warm welcome to everyone visiting our new practice in Elermore Vale, Newcastle. When you come to see us, you will receive the same superior standard of dental care that we are renowned for at Smile Craft Dental Wingham and Tuncurry, from a dental team that truly cares about you https://smilecraftdental. For the most eye-catching prints and designs as well as best Flyer Distribution in Botany Sydney you need search no further. FlyeSr Distribution Sydney offers a host of services that are designed to help you bring your business into the limelight and profit from the growth..
Promote your business with attention-grabbing and innovative advertising stickers. Signmaker Solutions is one of the leading sticker printing service provider in Sydney with a rich experience of over 30 years. We print and produce clear, high definition and premium custom vinyl stickers at affordable prices. The company moreover offers the customers to choose a vehicle of their choice for the airport transfers so that you need not compromise on your comfort even though hiring a vehicle. All you need is to simply fill in the form for the airport transfers with your travel details like the flight number, date of journey and the destination that you have to reach. If you are looking for Letterbox Distributors in Sydney and regions around it you should contact APA immediately. Our wide range of services makes sure that you get one suited absolutely to the service you are giving. With our help, your product launch would be an instant hit and most people would want to get in touch with you to know more about your offerings. Ross Tamlin is a Contemporary Artist who has spent several years at Studio 1+2 in the inner Sydney suburb of Rozelle https://www.rosstamlin.com/ Phone: 0266321123 Email: rtamlin@bigpond.net.au Address: Bondi NSW 2026 australia. Manly Beachfront Hotel and Apartments. Only 50 meters from the famous Ocean beach, enjoy a stay in Manly in one of our serviced apartments or in our motel. Enjoy the stunning views from our exclusive rooftop pool and sundeck. Contact us now for more information! 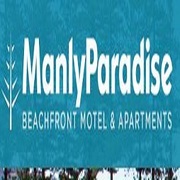 https://manlyparadise.com.au/ enquiries@manlyparadise. Prompt, reliable Skip Bin delivery, based in Windsor. 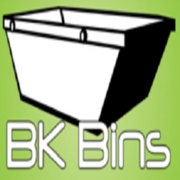 BK Bins delivers skip bins to Hawkesbury, Hills District, Blacktown and Penrith areas and many more North Western Sydney suburbs. Website: http://bkbins.com.au/ Phone: 1300 136 117 Email: tarin@bkbins.com.au Address: PO Box 7393 Wilberforce. To make your Melbourne airport travel easy and comfortable just contact the Taxis Melbourne Airport services that offers the best airport services whether picking or dropping at the airports in and around Melbourne city. There is no doubt after your journey in the flight you no longer want to wait for a taxi or the public transport system to reach your home. Court interpreting refers to the work of professionals who work with the court system to provide language interpretation when clients have weak skills in native language. 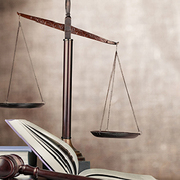 Barnes, Thompson & Brown offers best court interpreting service in Australia. They have a large access panel of certified court interpreters with a wide range of interpreters for hearings, trials, depositions, conferences, conference calls, and interviews. Being a reputed pamphlet marketing agency, our dedicated team of professionalist supervise the services of Pamphlet Delivery in Parramatta, Sydney and helps the brand to unleash its full potential. It does not end here as we are available 24*7 to resolve each and every query of yours. For further details, call us - 1300 363 365. Melbourne City Medical Centre. We are experienced Melbourne CBD doctors, located in Lonsdale Street. Services including GP, Skin Clinic, Pathology, travel medicine, and travel vaccination. Contact us today for more information. 68 Lonsdale St Melbourne Victoria 3000 Australia 03 9639 9600 melbcitymedical@gmail. Australia free ads for Other services, Sydney, Other services free ads Sydney, Other services for sale Sydney, Other services to buy in Sydney. Find on this page free classifieds for Other services in Sydney. This listing includes classifieds for sale and to buy in Sydney. FREEADSAustralia Sydney offers you a platform to post free advertisements or classifieds for Other services in Sydney. FREEADSAustralia helps you search, find buy, sell, rent or hire in various categories like apartments, goods for sale, local services, cars , jobs and many more in Sydney. If you posted an advertisement in category Other services of FREEADSAustralia Sydney before please use Edit my ads button to change or cancel your ad. Other services Sydney ads Sydney, Other services classifieds Sydney, Other services free ads Sydney, ads for sale Sydney, ads to buy Sydney, FREEADSAustralia Page number 5-1. Find here ads for sale, to buy and rent in Sydney. Goods for sale in Sydney, vehicles for sale in Sydney, Sydney real estate for sale, Sydney property for sale, property for rent in Sydney, business ads in Sydney, Sydney business classifieds, services in Sydney, Sydney services ads, jobs in Sydney, pets for sale in Sydney, Sydney dating, Sydney cars for sale.